Estate sales at one time were known as a stuffy, high-class version of a yard sale, but now they’re becoming more and more accessible and well known to collectors looking for anything from sports memorabilia to a piece of furniture for their living room. Numbers of estate sales are growing all the time int he Atlanta area. A quick search turns up 182 estate sales going on in the metro Atlanta area just in the next 15 days. If that trend holds up throughout the year of 2018, there will be a rough total of around 4,300 estate sales happening. Needless to say, there is plenty to be discovered! 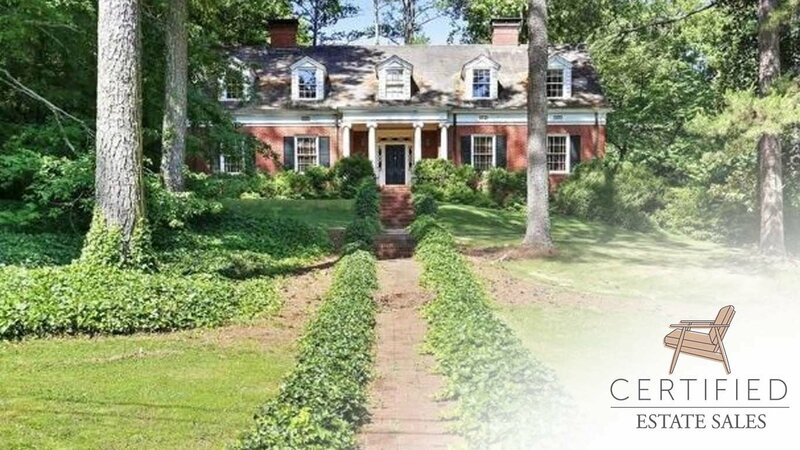 There are many cities aside from Atlanta nearby that are great for estate sales. Aside from metro Atlanta, we see a ton of activity in Marietta, Alpharetta, Roswell, Woodstock, and many more. Clients from these areas choose Certified Estate Sales because of our experience, local network, and attention to detail. Once you find an estate sale, do a little shopping, not just for merchandise, but for a good experience and staff of the company running the sale. Once you are ready to head out, sign up for the email list. That way you’ll be first to know when new sales are happening now. Sometimes, you can even get on a preferred shopper list where you can gain special access to early entry and other benefits of being part of the network. Most first time shoppers think there’s nothing to it. You just show up at the time listed on the post, right? Simple? Believe it or not, there are collectors and treasure hunters out there that will camp out before the start of a sale to be the first one in. Many times, the list of items will be published early to help draw new people to the sale. If there are rare, valuable, or re-sellable items listed, you will sometimes find a line of people waiting for their chance to get in and purchase them. Many companies hand out numbers for entry to the event up to an hour before it ever starts. Sometimes, only small groups of shoppers are let in at a time to prevent over crowding. This happens especially with smaller homes. Bags, boxes, and dollies are usually around but can never be guaranteed to you at an estate sale. Bringin your own stuff with you could be the difference between being able to walk out with the item of your dreams and not being able to take it home. another sensible item that you can bring with you. A lot of times, basements and sheds are chock full of items that are hard to see because of the dim lighting. There are companies that accept cards and checks, but estate sales largely operate on cash. Sometimes you can even get a discount for using it when they offer the others. You always have a better chance to haggle when using cash, too! Bring a few sold stickers along with you so that you can claim items while you go and find someone to help you. This works especially well when the item is large and not something you can carry along with you as you shop. Jewelry, historical collectibles, and sports collectibles are among the most highly searched for items online. These are the things everyone wants a chance to look at and buy first. If you are going to a sale in search of one of these highly sought-after items or any others, you should do a bit of work ahead of time to give yourself the best chance. Even though these items can be extremely valuable in mint condition, you won’t always fine them that way. You should learn all you can about the item. When something is valuable or highly collectible, there will usually be a ton of information about the item online. You can use the info to learn how to spot defects and even fake items. You’ll also have a better grasp on pricing so that you can know if there’s money to be made above what you pay for items that you are planning to re-sell. Knowledge will be your best weapon when it comes to bargaining for better prices. Check out the comparable items online in places like eBay and Amazon. There are more and more niche marketplaces opening their online doors each day. Facebook groups are another place people commonly buy and sell used items. Become a member of a few that trade items you’re interested in. When you want to open up discussion on lowering the price of an item, ask the right way. You can politely ask the person running the sale if they are open to bringing the price down. Usually you’ll have a better chance of this happening if you are in the late stages of the sale because you know they’d rather sell the items than have them be left over.